The producer, Kent Washburn, has this to say…. songwriter, working with the legendary Gene Chandler out of Chicago. songwriting abilities and unique vocal ideas. (1) the songs, (2) the musicians and (3) the technical staff. These tracks are seriously good, and why they never got released is a mystery to me at this point. 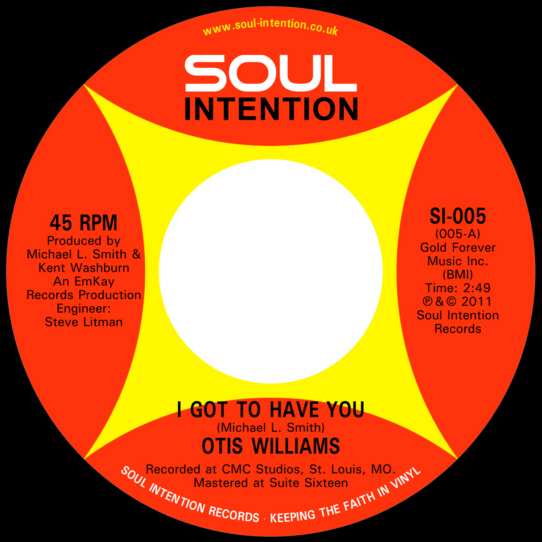 I even chatted with Otis (Williams) recently, and he can't even remember why he was in St Louis to start with, or what prompted us to even cut the tracks either However, he does confirm that it is him, and yes, he does remember the songs and recording them, but he can't remember how the whole thing got hooked up to start with, and neither can I!! Never-the-less, Here are the people that helped create these two excellent sides.... Both Sides were Produced by Michael L Smith (now known as Michael Lovesmith, or just Lovesmith) along with Kent Washburn. Steve Litman, (the engineer that recorded and mixed all of their collaborations) was the Engineer. The musicians were the "A" team at that time in St Louis. This "CMC Rhythm Section" consisted of: Bass: Tom Zuzenak or Paul Jackson ( can't really remember which one played Otis' session, but I would think it was Tom Zuzenak from listening to it.) ... 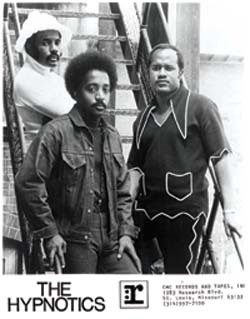 Drums: Michael Grimes, and Guitar: Phil Westmoreland ,(both were part of the group, Marcus Kelly and Westmoreland Co.), Keyboard: Michael L Smith. I used them on Everything I did, along with a keyboardist that was not on the Otis session, named: William "Billy B" Bickelhaupt. Some of the Horn Players were Tyrone Perry and David Hines, Myself, and some others whose names escape me (please forgive...smile). Strings were the local Symphony Strings. And, almost 40 years later, Hello from St Louis, et, al.... You now get to finally hear it!!!" 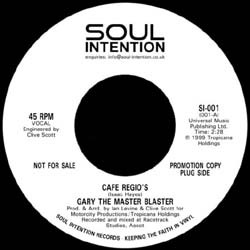 "I cut the track in 1979 /1980, at United Sound Sudios in Detroit. 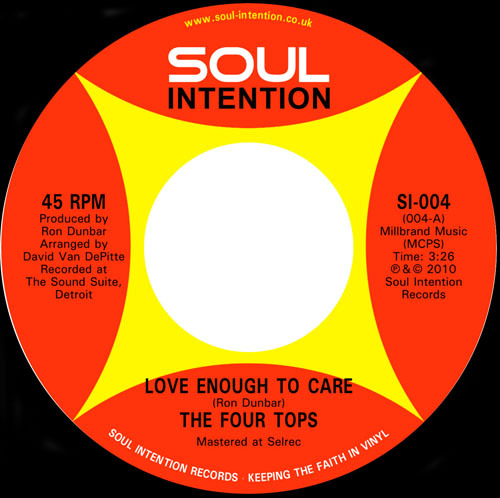 One day while I was writing the track, I said this would be a perfect song for the Four Tops. I was phrasing the melody the way I envisioned Levi Stubbs singing it. One day while I was working on a Parliament & Brides of Funkenstein project in Studio A ,The Four Tops were working in Studio B. I saw Duke (Fakir) in the hallway on the way to the bathroom and told him I had a song that was tailor made for them. He asked to hear it. I went and grabbed my cassette (put the "Brides" on hold !) and played it for Duke, while singing along. Duke loved it and went and told the rest of the fellows. They came out of studio B to see what Duke was so excited about.... I hit the button on the cassete and started singing to the track. They loved it and wanted to record it right away! I took them into another studio, The Sound Suite (owned by John Lewis and Michael Grace), and I was mesmerized when I dubbed them in especially by Levi's voice. Just working with them was a dream come true!" Having sat in the can for an unbelievable 40 years ," The Movement" is uptempo Northern Soul of the highest calibre. Recorded at New York's famous Bell Sound Studios in 1969, it sounds fresh and exciting. Flip this record over and you have the first ever legitimate reissue of the sublime "I Still Love You". 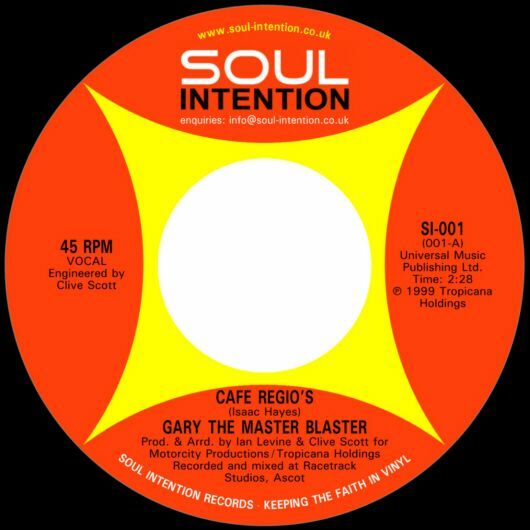 This is a true Northern Soul classic that has never lost its appeal or become a "played out " oldie. We're truly proud of this the third release on our label. A double hearder of sheer quality. 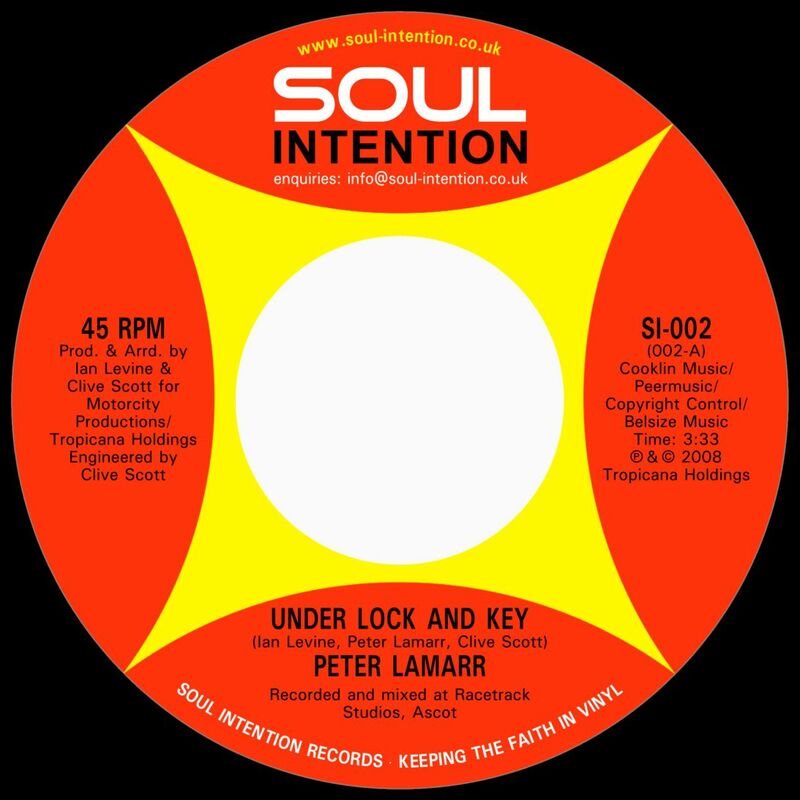 Former member of The Drifters, Peter Lamarr really hits the jackpot with his first solo release on Soul Intention. 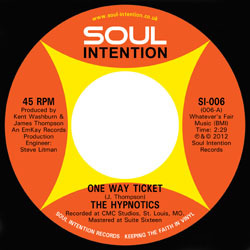 Under Lock And Key is pounding traditional on the fours Northern Soul. Whilst the other side Take You For Granted is a soul stepper of the highest calibre.